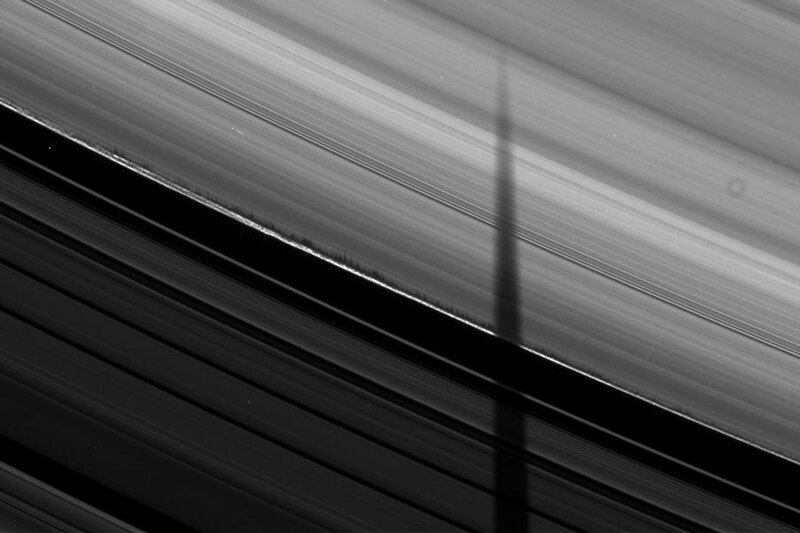 Explanation: What's causing unusual jagged shadows on Saturn's rings? No one is yet sure. As Saturn nears equinox, its rings increasingly show only their thin edge to the Earth and Sun. 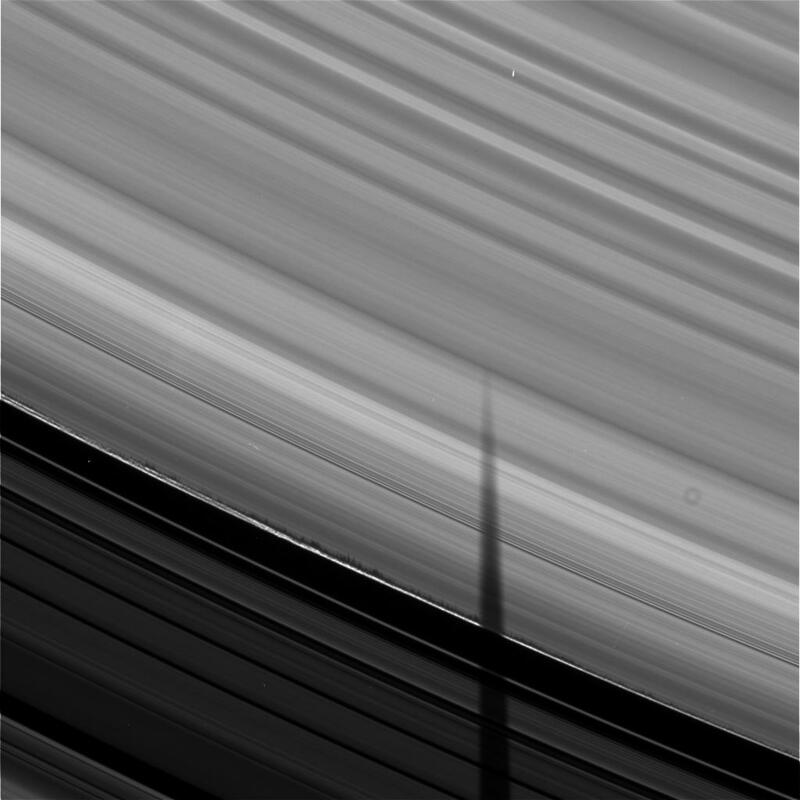 As a result, Saturn's moons now commonly cast long shadows onto the rings. An example of this is the elongated vertical shadow of Mimas seen on the above right. The series of shorter, jagged shadows that run diagonally, however, are more unusual. Now Saturn's rings have been known to be made of particles for hundreds of years, but these particles have so far escaped direct imaging. It is therefore particularly exciting that a preliminary hypothesis holds that these jagged shadows are silhouettes of transient groups of ring particles temporarily held close by their own gravity. Future work will surely continue, as the robotic Cassini spacecraft orbiting Saturn that took the above image will continue to photograph Saturn's magnificent rings right through Saturn's equinox this August.